This is a stunning stainless steel bar necklace. 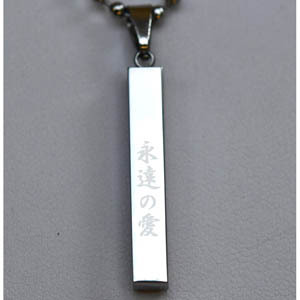 We have etched 永遠の愛 - the kanji for eternal love/ forever love on front and back. On the reverse side the word "forever" has been added (see image 2).